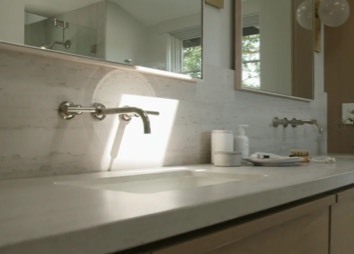 Are you in the mood for a lighter, brighter and fresher home? One lucky winner will receive two VELUX No Leak Solar Powered “Fresh Air” Skylights with solar-powered blinds (choose from over 75 colors) and have them installed for free. The sweepstakes has closed, and we will announce the winner soon. 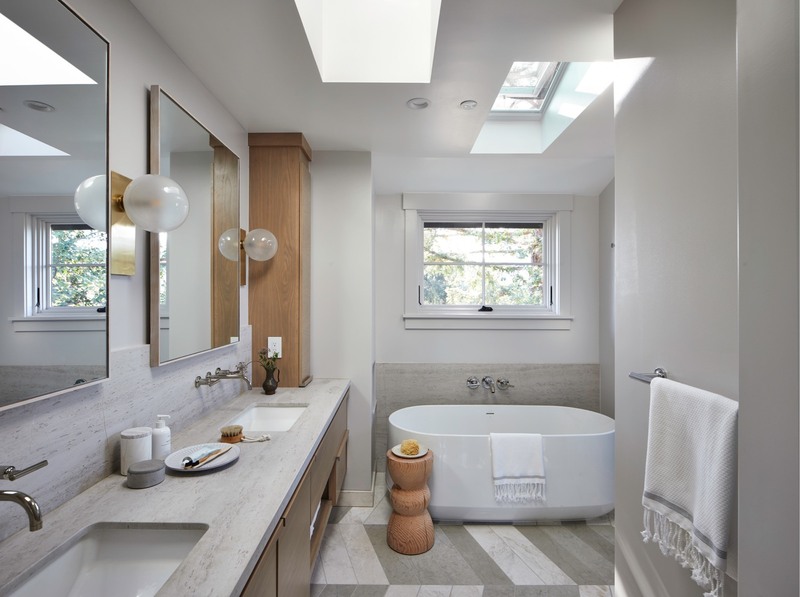 In the meantime, keep exploring all the ways skylights can brighten and refresh rooms in your home. Imagine your home transformed with natural light and fresh air from VELUX skylights. The VELUX Solar Powered “Fresh Air” Skylight is refreshingly innovative. 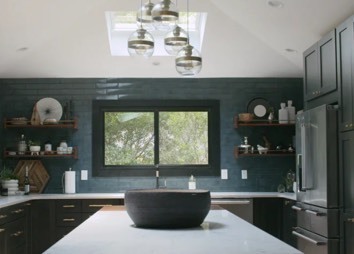 Transform crowded kitchens and tight bathrooms with daylight and fresh air. Watch your space open up while also increasing your home’s energy efficiency with Solar Powered "Fresh Air" Skylights. 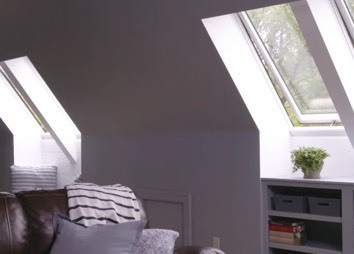 A small solar panel on the exterior of the skylight captures available daylight to open and close the skylight while charging a small, concealed battery even on cloudy days. 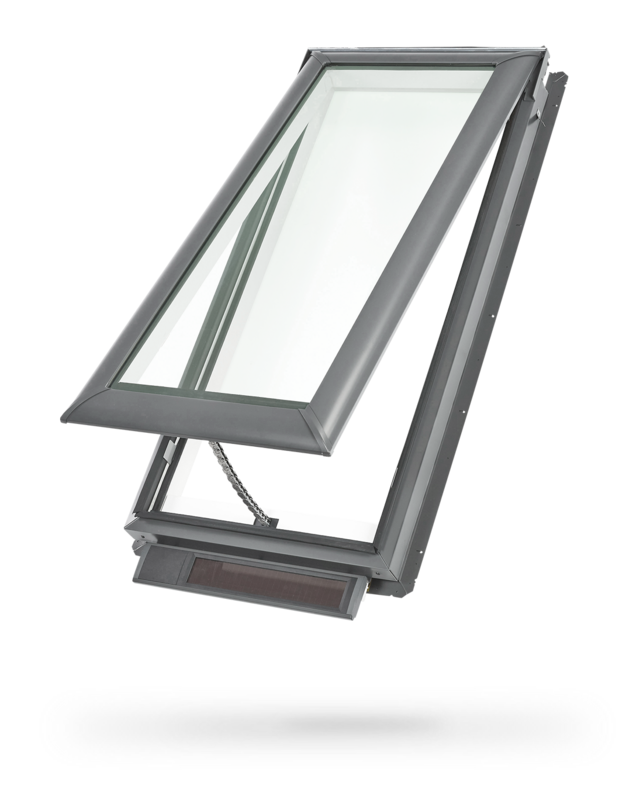 With VELUX's integrated rain sensor, the skylight will close automatically at the first sign of inclement weather. The Solar Powered "Fresh Air" Skylight comes with a preprogrammed remote control, which allows you to open or close your skylights at your convenience or at scheduled times of the day. Exceptionally smooth Neat® glass disperses water evenly for quick evaporation and reduced water spotting. Enjoy 25% less unwanted outside noise than standard double-pane glass and up to 50% less than a plastic skylight. VELUX No Leak Skylights carry a 10-year installation warranty, plus 20 years on glass, 10 years on product, and five years on blinds and controls. 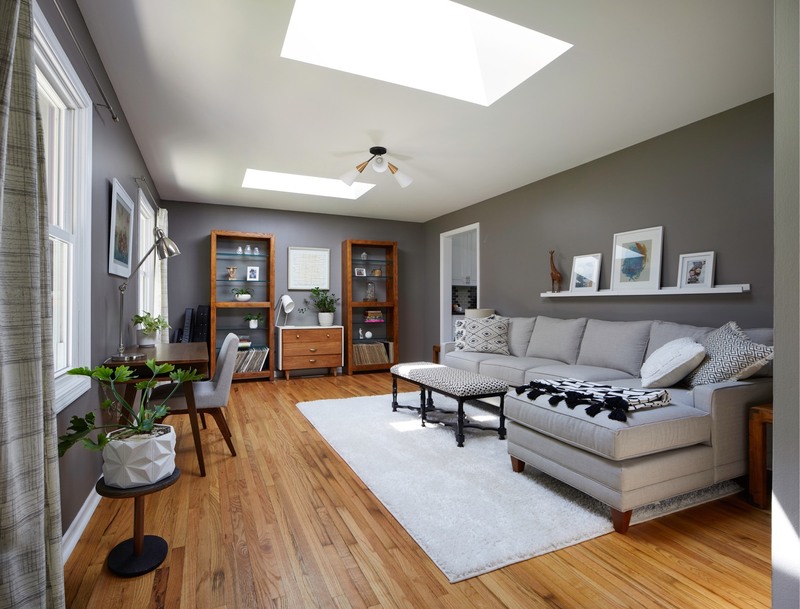 See how VELUX skylights can provide a refreshing take on any room in your home. 2018 Sunset Idea Home in Los Gatos, California. 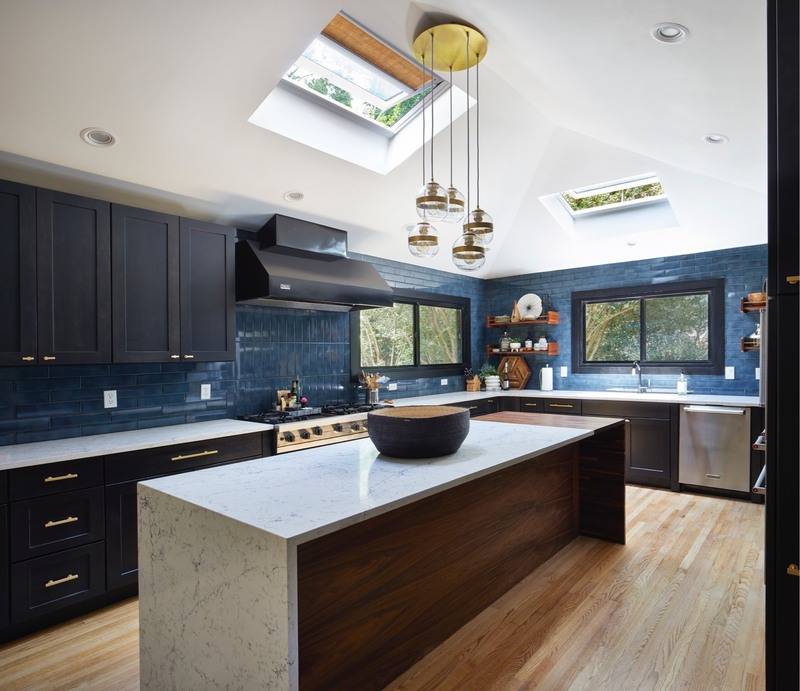 Use skylights to brighten a kitchen. No purchase necessary to enter or win. A purchase will not increase your chance of winning. VOID WHERE PROHIBITED BY LAW. Must be 21 years of age or older, a legal resident of the U.S./DC, and own their own home. Drawing to be conducted on 3/12/19. Sweepstakes begins on 2/13/19 at 9:00 a.m. ET and ends on 3/6/196 at 11:59:59 p.m. ET. To enter, alternate means of entry and for Official Rules visit www.whyskylights.com/daylight-renovation-sweeps. Sponsor: VELUX America Inc. 450 Old Brickyard Road PO Box 5001 Greenwood, SC 29648-5001.